Before I can safely put fish and proceed with planting on CRAFTS installation, I must make sure it can hold during double flush. Fish tank is only 100 gallon so I make use maximum as possible water volume, if bigger tank were use this is not that critical. 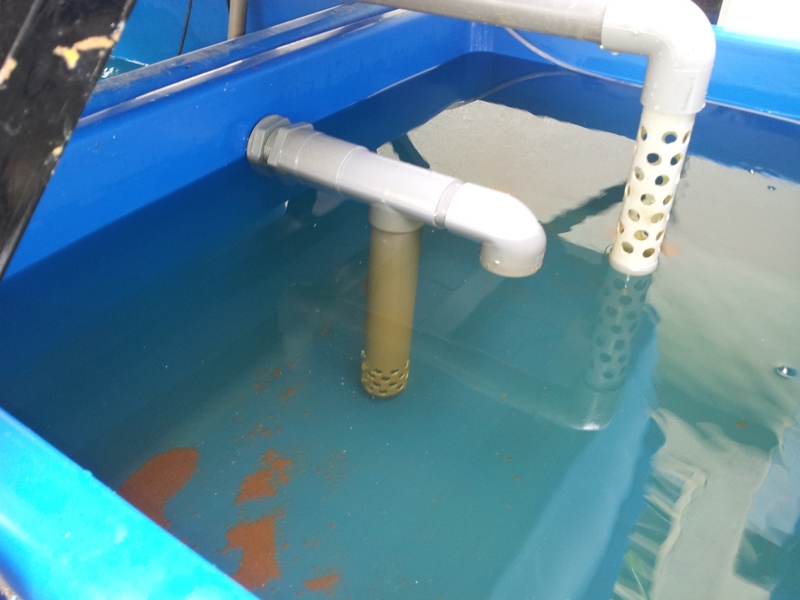 Above shows water at the rim of tank during double flushing, this is very critical. 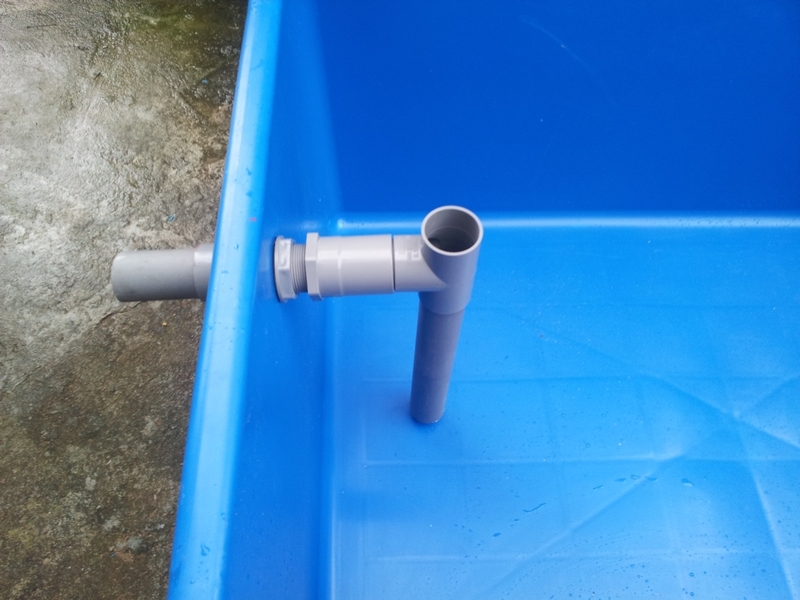 Overflow used is 40 mm and before stepping up to 50 mm I best try to increase water flow. I am trying this as below photo on the over flow instead of normal (top photo) over flow to try and increase flow. This will increase once the downward facing elbow is fully covered with water. 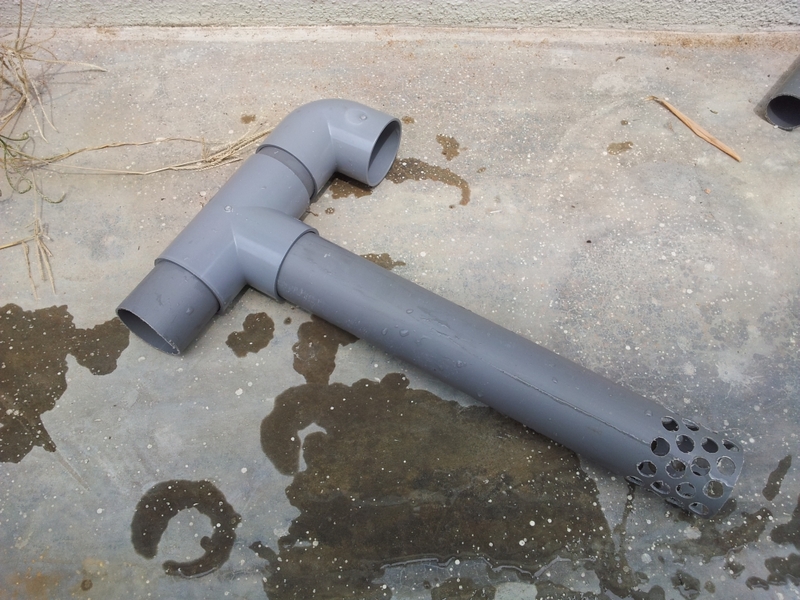 Water overflow increase in its flow rate, as water reaches the downward scoop and its stop once the elbow is uncovered, retaining water level at same height as over flow pipe. 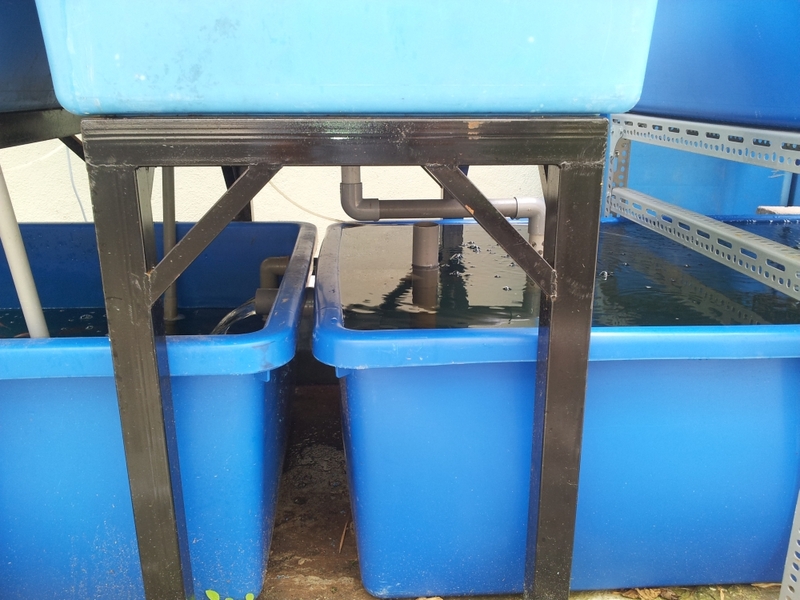 I need to further refine this outlet since, this will over flow surface water, I prefer lower level water being overflow into feeder. 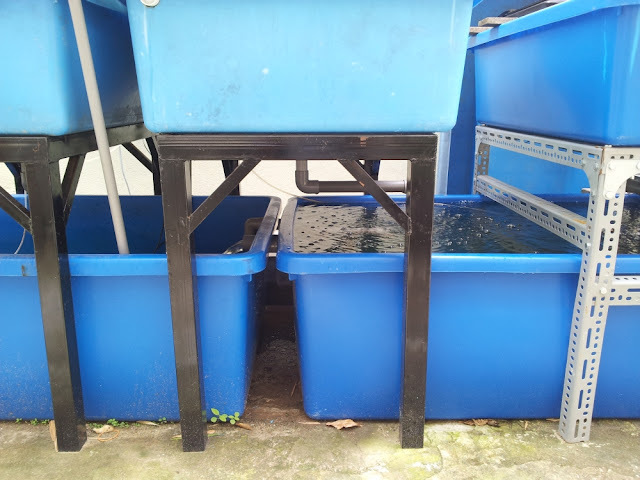 I throw in few Tilapias in this Return tank to keep mosquito at bay, and once I am satisfied that its safe I'll transfer the bigger Tilapia in here and I can get fresh batch of fingerlings to increase stocking density. 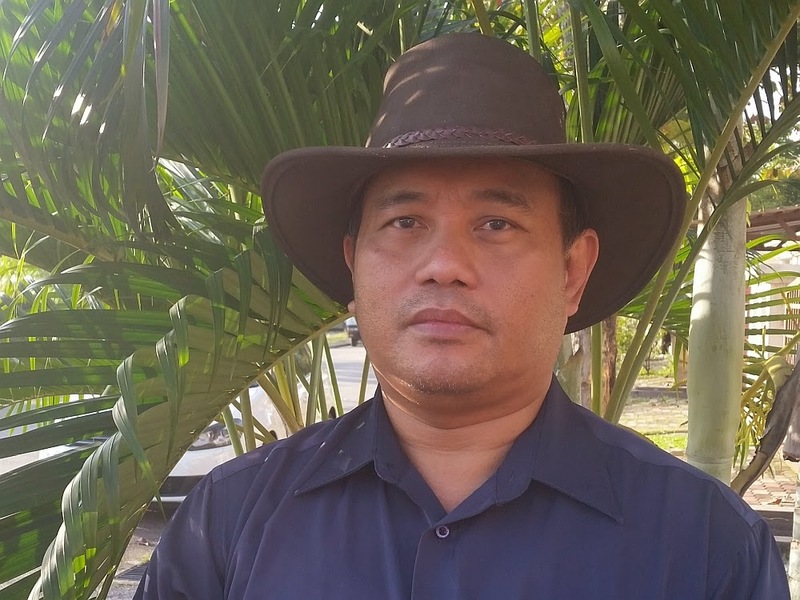 Hello Affnan, your set up looks very robust. Kudos! Hope that you will be satisfied with the result. Happy gardening the aquaponics way!